Lt. Col. (res.) 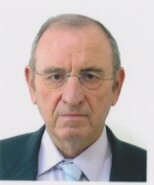 Dr. Rafael Ofek is an Israeli writer and researcher, primarily focusing on nuclear technology. He worked as a senior intelligence analyst in the Prime Minister's Office from 1997-2007. Dr. Ofek has a PhD in Nuclear Engineering from Ben-Gurion University of the Negev.